FBLA is more than just a club, it's a family. Early in March, FBLA members went to a competition at the North Charleston Convention Center in North Charleston. Andrew Smith, 11th, and Travis Johnson, 9th, were the only ones from Crestwood who placed. Travis got first place in Public Speaking 1, while Andrew received second place for Personal Finance out of several categories such as Public Speaking 1 and 2, Word Processing, Agribusiness, Introduction to Business, and Job Interviewing. “My favorite part of the conference was walking to the stage and hearing my name called for the first place in Public Speaking 1,” Travis Johnson recalled about the conference. “My event was one of the last called out of about 60. Up to that point, I experienced nothing but dread in anticipation of whether or not I would have won. This horrible feeling multiplied as the event before mine was called. Pure anxiety took over me; then suddenly a huge wave of relief and excitement took over as I found out that I place. I jumped, screamed, and marched happily to the front trembling. I was very happy that day,” Andrew Smith described his own reaction of the event. The 4th and final quarter began on Wednesday, March 22. Students, teachers, and administrators alike are relieved to be approaching the end of the school year. Academically, the students are seeking to improve on their previous grades, keep them the same, or have become more nonchalant about them. “I am excited for 4th quarter. I will make all A’s so I can graduate with Honors,” said Deja Stewart, 12th. Teachers are relaxing more but that doesn’t mean they have become lenient with their lesson plans. “With a new quarter starting, I feel the pressure of planning graduation and making sure students have what they need for exams and end-of-course testing. I also look forward to Spring Break just like everyone else!” math teacher, Melissa Jackson, said. The administrators are joyous but still enforcing school rules and regulations. “When things tend to come to an end, we work harder. We don’t cut back because I am an advocate for ending on a high note,” stated Administrative Assistant Samuel Myers. ​4th quarter also hosts some big events such as Parent Teacher Conference Night, Spring Break, Prom, and final exams. It serves as an excellent conclusion to an individual’s school year. Spring break is a time to relax and release the weight of school off students’ shoulders. 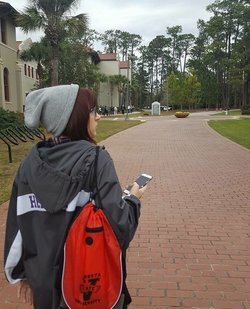 Timothy Kranz, 12th said, “I’m extremely hyped to go to Myrtle Beach with my boys.” The beach is one of the best places to visit, between great seafood and the salty air, students get to feel stress-free for a week. The JROTC is kicking off their Spring break by attending The Top Gun competition at McEntire Air National Guard Base. This will be JROTC’s last drill meet of the school year. Whatever your plans are for Spring Break, remember to be safe Knights and enjoy your time off. ​Crestwood’s National Honor Society has a packed schedule full of service projects. One of the projects is that students are asked to bring in at least two stuffed animals that will be donated to a local facility for young kids. Their major project is putting together shoe boxes for people at nursing homes. The boxes will be decorated with springtime and Easter themed decorations and filled with games and toiletries. They also have a few minor projects like collecting canned goods and healthy cereals to donate to a local food pantry. “It’s a good feeling to help people in need,” said Niaya Singleton, 12th. Imagine having a Valentine’s Day without flowers. Or a meal with no vegetables. Bees pollinate pretty much every flower, vegetable, and fruit we have in the world, but they’re becoming extinct. The bees pollinate plants by landing on the flower, slipping their feet into little pollen sacs, and when they fly away, they spread the pollen to other plants, unknowingly pollinating them. The bees are attracted to flowers that are bright, sweet-smelling, and have big petals to easily land on. Bees pollinate 90 percent of our crops and are very important to our world. As you all know, bees also make honey for us and them. They make honey by getting nectar from flowers using their tongues, and storing it in what’s called their ‘honey stomach,’ which is different from their actual stomach. When they’re full of nectar, they go back to their hive and pass it on to other bees that chew on it for about a half hour until it becomes honey. Then they store the honey in small wax pockets called honeycomb cells. Once the honey is in the cells, the bees then fan it until it dries and becomes stickier. When it’s finally dried, and sticky enough, they put a wax lid on it to keep the honey clean. For about a decade, bees have been dying at about 30 percent each year, and people didn’t know why. We just recently found out the reason during the summer of 2015. The bees have been dying due to a certain insecticide that contains nicotine called neonicotinoids. The nicotine in this insecticide is lethal to the bees, and the other types of pesticides are also adding to the causes of the bees dying at such a constant rate. The Cheerios company is helping save the bees, too! Cheerios gave away 1.5 billion wildflowers to plant and help save the bees. They made special boxes saying “Where’s Buzz?” with a shadow where the bee character was before. Every one in three bites of food we eat are made possible by bees and other pollinators, so help plant more flowers and save the bees! As its gets closer to graduation, college acceptance letters keep coming and coming. Crestwood’s seniors have been accepted to great schools such as Coastal Carolina, USC Columbia and Francis Marion. High school is almost over and seniors are ready to take the next step into adulthood by pursuing more education. Whether they are staying close to home or traveling miles out of state, big and bright futures are ahead for the class of 2017. Nataysia Ziegler got accepted to a handful of schools. She said that she plans on attending USC Upstate to pursue her major. The Carolina Cup is a horse race held in Camden, South Carolina at Springdale Race Course. This year it will be held on Saturday, April 1st and gates open at 9 A.M. The race isn’t only for equine fans or gamblers. Camden is well known as a training center for racehorses from the Eastern part of the U.S., and throughout the world. Camden is known for amazing equine stores, stables, and great food. After the race, stay in Camden a while and try Hifalutin’s, Sam Kendall’s or Lilfred’s for dinner; and for lunch try BSL which is the oldest restaurant in Camden, South Carolina. The beauty of the town and the amazing race will steal your heart, don’t be afraid to visit! The American Red Cross estimates that approximately 36,000 units of red blood cells are needed every day in the U.S. A single car accident victim alone can require as many as one-hundred pints of blood. Currently there are 6.8 million blood donors in the US, but there could be much more. It is estimated that 38% of Americans are eligible to donate blood at any given time, but only 10% of those eligible actually donate. Keep in mind, we can only use blood from generous donors. We do not have the technology to manufacture it. ​On the 23rd of March, the Crestwood JROTC hosted their second blood drive of the year, run by senior JROTC cadets at the school. Every year, they schedule three blood drives with the Red Cross. For the past two years, however, the first blood drive has been cancelled due to inclement weather, leaving the remaining two blood drives to make up for the loss. 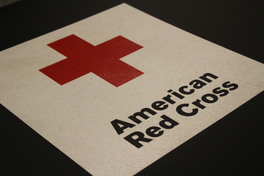 They were able to collect forty-six pints of blood in comparison to the forty-five pints they collected during the first blood drive to make a total of ninety-one pints donated to the American Red Cross. Students sixteen and older are encouraged to sign up during each blood drive to donate blood and possibly help save lives. Teachers and faculty are also encouraged to donate during their free period. If eligible, the Power Red donation was also an option. Through the Power Red machine, they were able to donate twice as much plasma. At this blood drive, they provided water, snacks, peanut butter and jelly sandwiches, and fruit juice to make sure those who donated stayed hydrated and replenished. The volunteer JROTC cadets took this as an opportunity to help out their community and fellow students by running the registration table and preparing sandwiches, as well as anything else the nurses may have needed. ​High school students all around are preparing for that one special night where curfews are broken, girls are all dolled up, and love is in the air. An unchanging tradition they will cherish for the rest of their lives known as prom. Most people find that the dresses are a big deal, but lately finding a date has been the problem. Over time, the traditional way of asking people to prom has changed. Usually you would see boys asking girls to prom, but it has switched up. Right before the girls’ soccer game, Victoria Sellers, 11th, was very nervous but also excited to ask her boyfriend, Andrew Vasquez, 10th, to prom. 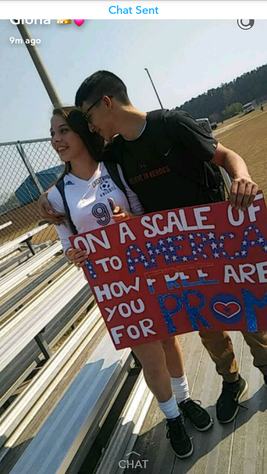 Right as he was walking up to the benches on the soccer field, she pulled out a sign that said “On a scale 1 to America how free would you be for prom?” This was an unexpected and sweet surprise for Andrew and a date to prom for Victoria. Prom can be stressful in many ways--from finding the right dress, to figuring out how you're going to get there--but it's all worth it in the end. It’s a night where you can let go and celebrate the friends and memories you have made over the years of high school.